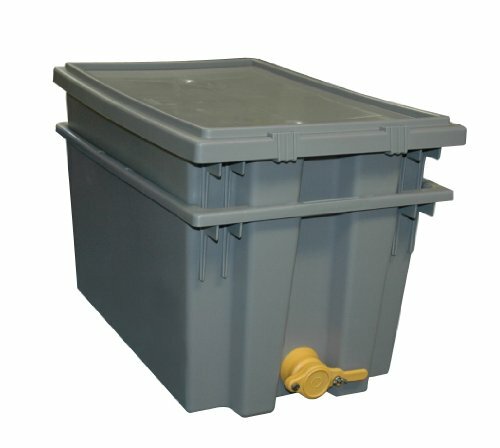 Multi-purpose uncapping and straining tank stores up to 10 deep or shallow frames for uncapping with a convenient lid for storage. Made of high-density polyurethane material. Featuring a metal strainer grid that fits in the bottom. This dual unit stacks one way for uncapping and reversed 180 degrees becomes a strainer tank holding 5 gallons complete with honey gate. Available in gray color. Measures 24-inch length by 16-3/4-inch width by 16-inch height. If you have any questions about this product by Mann Lake, contact us by completing and submitting the form below. If you are looking for a specif part number, please include it with your message.